Hi Tatertots & Jello friends! I’m Kimberly from A Night Owl! I’m so excited to be a new contributor here this year. Tatertots & Jello was one of the first blogs I followed! So it’s such an honor to be here, sharing some fun craft ideas. Have you fallen full-force into Spring? We just started last week with Spring and Easter crafts and decor and I have to say – I’m loving it! All the bright colors just adds a bit of cheeriness to any space. And this project is no exception – Easter Egg Vases! First I painted two layers of paint for a good level of coverage on the glasses. Once dry, I simply added “Easter Egg” patterns with paint brushes and foam pouncers. Once the pattern was dry, I filled my vases with natural filler and faux succulent stems. I love how bright and cheery they turned out! Such an easy project to take on but it has such an impact! Right now, as we’re transitioning to Spring and Easter decor, I’m so happy to have these little guys sitting on our breakfast nook table. So what are you waiting for? Head down to your local dollar store and pick up some stemless wine glasses and make your very own! This could also be a fun project for your older kids – or you could even pick up plastic stemless wine glasses and make some with the little ones! The possibilities are endless, but I guarantee you’ll be happy you did. If you enjoyed this project be sure to check out our 100 Easter Egg Ideas and our DIY Carrot Easter Eggs! Until next time, friends! 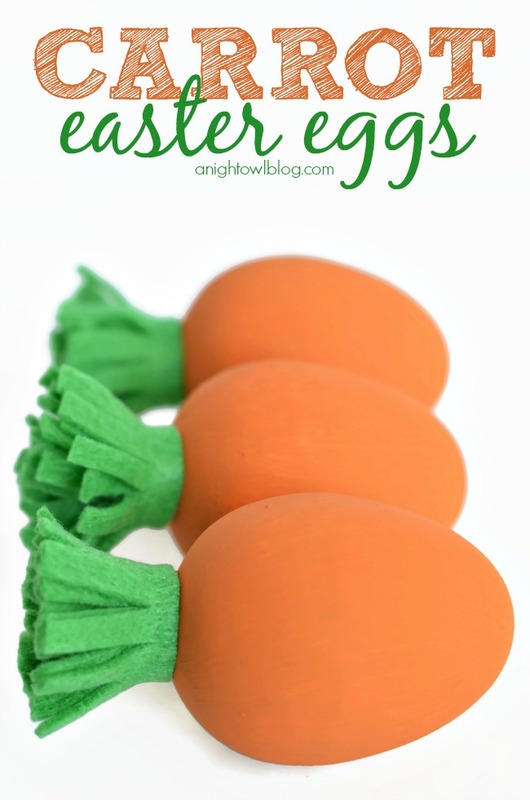 These DIY Carrot Easter Eggs are SO creative! What a fun and simple way to turn easter eggs into cute decor! 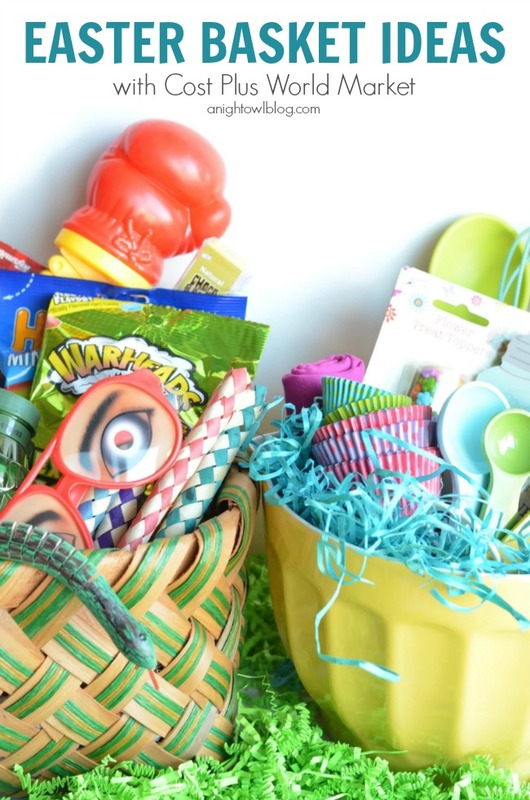 She also has some fun Easter Basket Ideas for both boys and girls! 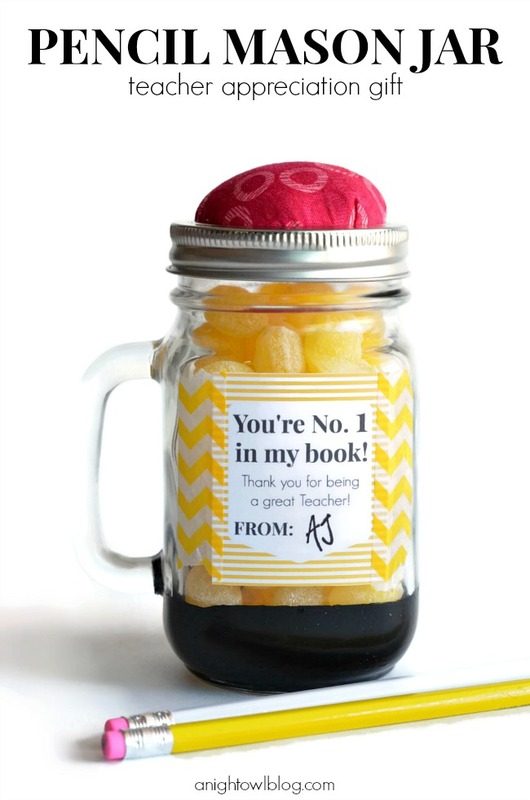 And these Pencil Mason Jar Teacher Appreciation Gifts are perfect for that special teacher! I love the free printable too! I’m beyond thrilled to have Kimberly as a contributor this year. I can’t wait to see the other amazing ideas she shares with us! Love how cute these are! Pinned and sharing. So festive and cute! Pinned! I love this idea! It’s so cute, simple, and expresses the holiday! WOW these look so cute. The colors you chose are beautiful. So cute!!! A great idea for wine glasses. Very fun. I love the touch of the succulents. I had an entire garden of them when I lived in Southern California and miss them terribly!! 😉 Cheers!